A number of European startup hubs have emerged and we felt it was time to establish a pan-European co-investment scheme to unite investment capabilities and leverage Europe’s top talents. 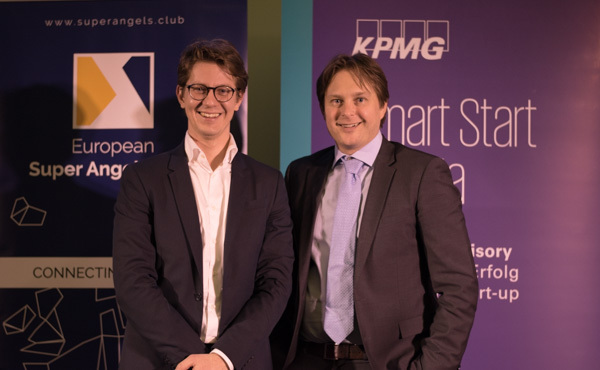 KPMG Austria and Venionaire joined forces to implement this goal and provide a platform for (U)HNWI, family offices, foundations and corporate investors, to follow Europe’s leading venture capital funds as co-investors in perfectly structured and well lead deals. 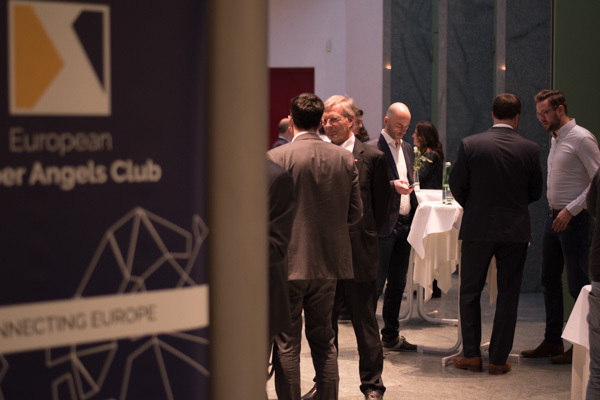 Yesterday, the pre-launch roadshow of the European Super Angels Club landed its first event in Berlin, in collaboration with Advantage Austria and the Austrian Embassy in Berlin. 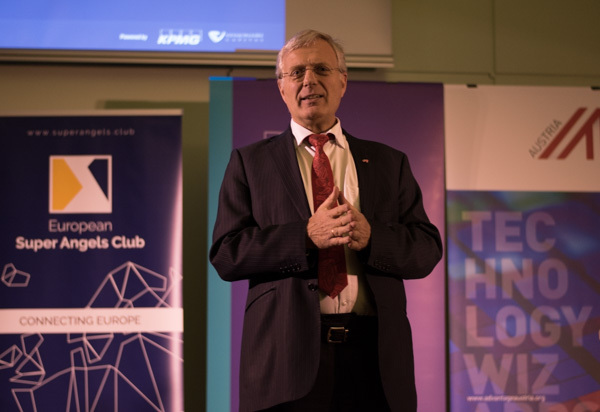 The Embassy of Austria in Berlin opened its doors for about 60 selected investors and invited five selected startups from three countries (with Austrian founder teams) and a second generation venture capital fund to present on stage. In difference to similar events, we emphasized on the Q&A session, with people having the chance to grill the founders directly on stage. With Austrian foods and drinks, investors and founders got a chance to meet and some were invited to follow-up talks. 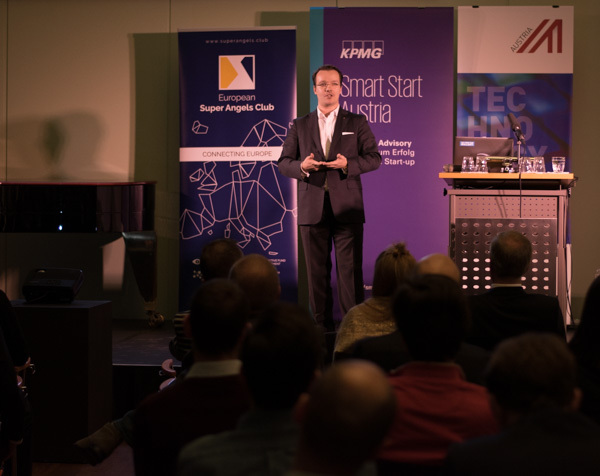 “Berlin is well known for its high startup quality, thus we are even more glad that the feedback about the roadshow was this positive and enthusiastic and we are certainly looking forward to coming back again”, said Michael Petritz, Partner KPMG Austria and Board Member of the European Super Angel Club. In his introduction, Berthold Baurek-Karlic (Founder and Managing Partner, Venionaire Capital), shared his personal view on the five main digital trends of 2017, among them his current favorite topic AI (Artificial Intelligence), where all presenting startups showed a strong footprint and explained why the AI winter is over. A new generation of API based, truly smart products, use machine-learning to help us perform complex tasks in less time, with high accuracy and last but not least with a fraction of the costs. AI will lead to a new allocation of resources in enterprises – soon leading us to ask questions if a task is still smart enough to be performed by humans or should it rather be covered by machines. ADVANTAGE Austria, is well known for supporting the international pitching days from New York to Tel Aviv and again they did a great job in Berlin. This event would not have been possible without Dr. Walter and his team supporting us here in Berlin. It was fantastic to bring the startup spirit and innovation to this high-class venue and we are looking forward to the next stops of our roadshow in New York, Vienna, and London! If you want to learn more about this program – as startups or investors – please sign up here and join our journey.